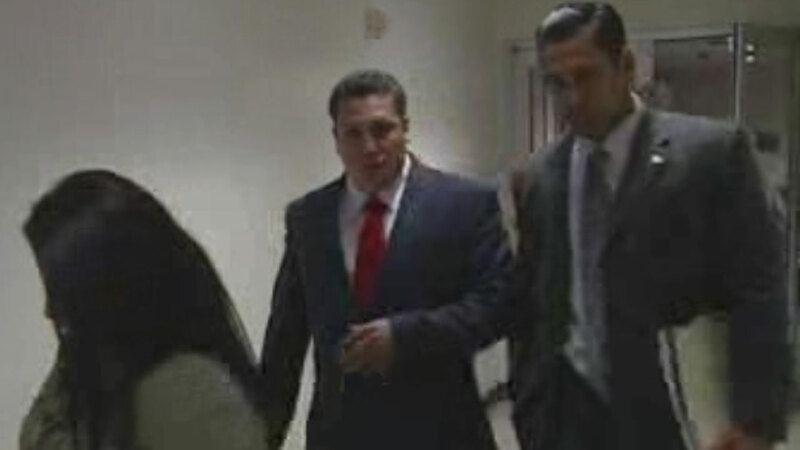 ANGLETON, TX (KTRK) -- Testimony moved into its sixth day in the trial of a Texas father accused of fatally shooting a drunken driver who killed his two sons in a traffic accident. David Barajas is accused of fatally shooting Jose Banda in December 2012 near Alvin. The shooting followed minutes after Banda hit a truck Barajas and his two sons had been pushing on a rural road after it ran out of gas. Twelve-year-old David Jr. and 11-year-old Caleb were killed. Testimony in Barajas' trial, which began last week, resumed Tuesday in Angleton before a Brazoria County jury. Among the witnesses called to the stand was Pearland police officer Oscar Pena. He says he pulled Barajas over last fall for an improper inspection sticker. Inside the police car, Pena says Barajas talked about the pending murder case against him. "I'm not saying that I did anything, but if this happened, would it be murder or a crime of passion?" Pena recalled Barajas asking. But that same police officer also says Barajas did not say he shot Banda. "I was there everyday during trial; no one that accuse David Barajas, not one," Barajas' friend Juan Hernandez said. At issue before is why the surveillance video system in Barajas' house wasn't working the night of the accident. The system installer testified there was a problem with the unit and the hard drive was removed a month before the accident. Barajas' family left court after a paramedic said he found a large sum of money in Banda's waistband that night -- all $20 bills, three inches deep. "What do you think that money is from? (Banda) didn't have job. What do you think that money from? Was a bad drug deal and David got blamed for it," Hernandez said. Defense attorney Sam Cammack argued with investigators on Monday that none of the prosecution evidence presented so far at trial links his client directly to the murder.